All posts tagged: "Rock House"
Where is La Contenta Road? And never hears the desert’s gentle song. For La Contenta Road leads to the hills. The strength to lift again the heavy load. 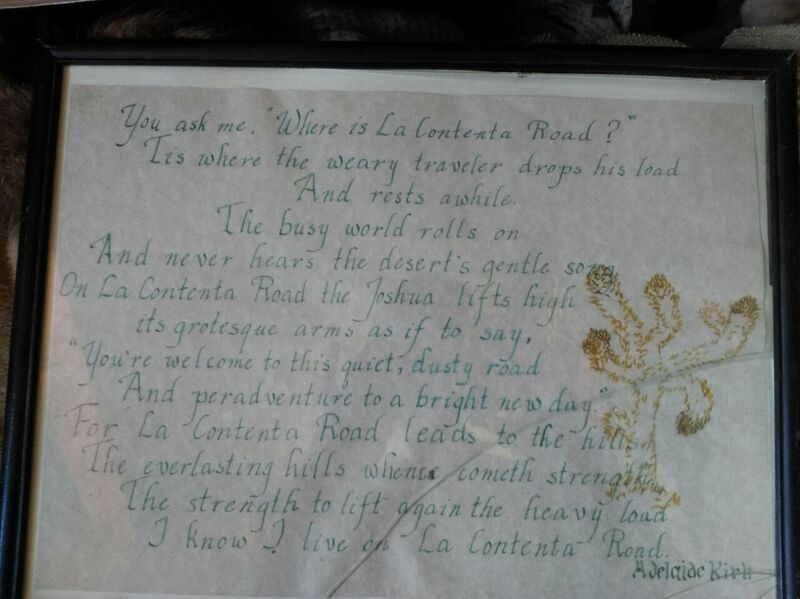 I know, I live on La Contenta Road. Born in the 1890’s, Adelaide and her husband, Thomas, owned the Rock House until his death in 1975. She wrote this heartfelt poem about her beloved desert. Most of Thunderbird Lodge Retreat’s properties, including Adelaide’s Rock House, are found on La Contenta Road. In fact, if you look closely, you can find their name Kirk written on a sign out front and on the rock fireplace. So, come, rest awhile as the busy world rolls on and, renew your strength.